After a gruelling ODI series which saw tourists Nepal come out victorious, courtesy of a Paras Khadka hundred, T20 action is next line for these two exciting teams with the first one being played on Thursday in Dubai. After being undone by a brilliant Paras Khadka hundred, UAE shouldn't be making any changes to the side that played the third ODI. Mohammed Boota and Shaiman Anwar could be promoted up the order considering their form. Much is expected of Chirag Suri and Ashfaq Ahmed, who didn't trouble the scorers in the ODI game. After a historic series win over the hosts, Nepal should go into the T20- internationals as the firm favourites with the likes of Sandeep Lamichhane and Paras Khadka in their ranks. While Sompal Kami and Lamichhane have been wrecking havoc, Paras Khadka's contributions to the team are vital if they are to stage another win over the Gulf nation. Possible XI: Malla, Bhandari (WK), Khadka (C), Airee, Rohit, Jora, Sheikh, Kami, Lamichhane, KC Karan and Rajbanshi. Wicket-keeper: Ghulam Shabber is the preferred choice over Bhandari with the versatile batsman doing well for the UAE national team in the recent series. Bhandari could also be a viable option with balance in the side in terms of credits being considered. Batsmen: Gyanendra Malla, Chirag Suri and Mohammed Usman are the ideal batsmen to go for in this match. Malla has been a consistent performer of Nepal and should be backed along with Shaiman Anwar, whose fifty laid the platform for a good score in the third ODI. Sixteen-year-old Rohit Paudel is also a handy option. All-rounders: Paras Khadka proved his worth with a master-class proving to the world that there is more than just Lamichhane as far as Nepalese cricket is concerned. Alongside Kami and Ashfaq, Khadka is a wonderful player to have in your fantasy team without any hint of doubt. Bowlers: Sandeep Lamichhane and Mohammed Naveed are must-haves in the team with the likes of KC Karan, Lalit Rajbanshi and Qadeer Ahmed also among the probable selections. Lamichhane is one of the world's premier spinners and has played all over the world, impressing one and all. His performance could potentially decide the outcome of the game. Captain: Paras Khadka, Sandeep Lamichhane and Shaiman Anwar are the potential options for the mantle of captain. Their records speak for themselves and with their ability and form, they would surely be worth the selection. Fantasy Suggestion #1: Ghulam Shabber(WK), Chirag Suri, Mohammed Usman, Gynanendra Malla, Paras Khadka, Sompal Kami, Ashfaq Ahmed, Sandeep Lamichhane, Mohammed Naveed, Lalit Rajbanshi and Qadeer Ahmed. Captain: Sandeep Lamichhane. 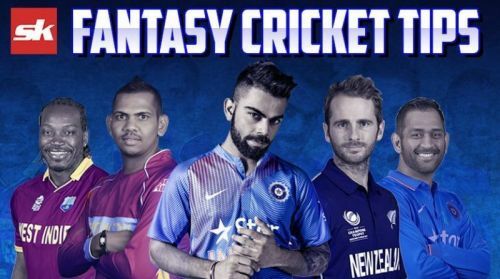 Fantasy Suggestion #2: Binod Bhandari (WK), Chirag Suri, Rohit Paudel, Shaiman Anwar, Paras Khadka, Sompal Kami, Ashfaq Ahmed, Sandeep Lamichhane, KC Karan, Mohammed Naveed and Qadeer Ahmed. Captain: Paras Khadka. Follow Sportskeeda for all the updates on IPL news, IPL schedule, points table, live scores, fantasy cricket tips and stats.